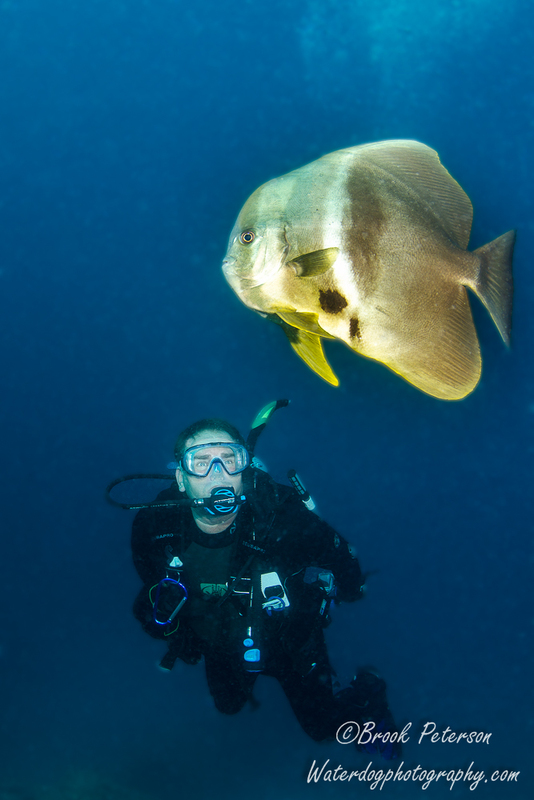 When people find out I am a scuba diver, the first question most of them ask is, “Aren’t you afraid?” I can honestly answer that, No, I am not afraid. 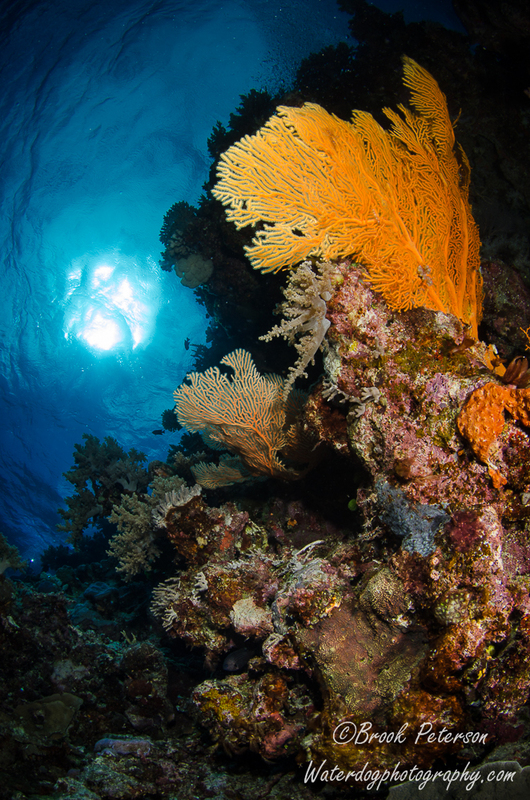 In fact, any fear that I should have is immediately pushed aside in favor of fascination when I am under the water. I believe that this is the innate nature of the sport, and that most divers will claim that fascination overcomes fear. Some of the creatures that might inspire fear are great photo subjects. Others appear harmless, but may pack a punch if their environment is disturbed too much. 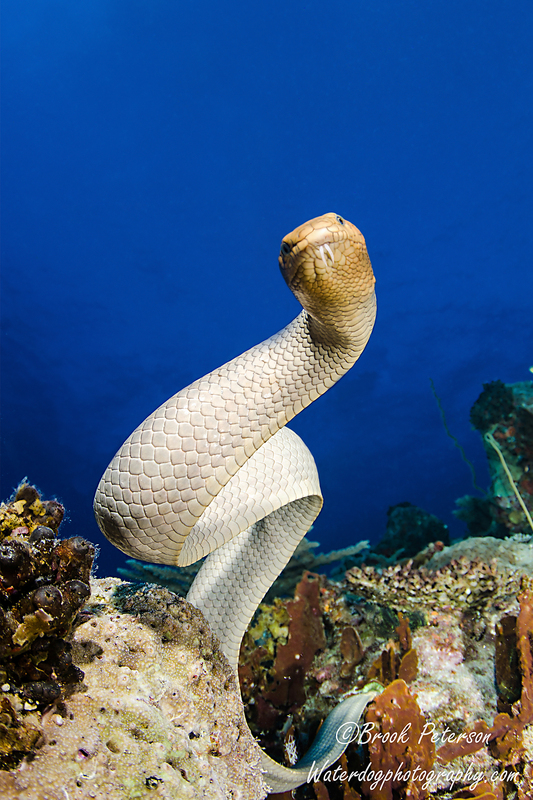 This sea snake, and several others like it, kept several of the divers on the boat. That was unfortunate for them, because I had a fabulous interaction with the snakes. 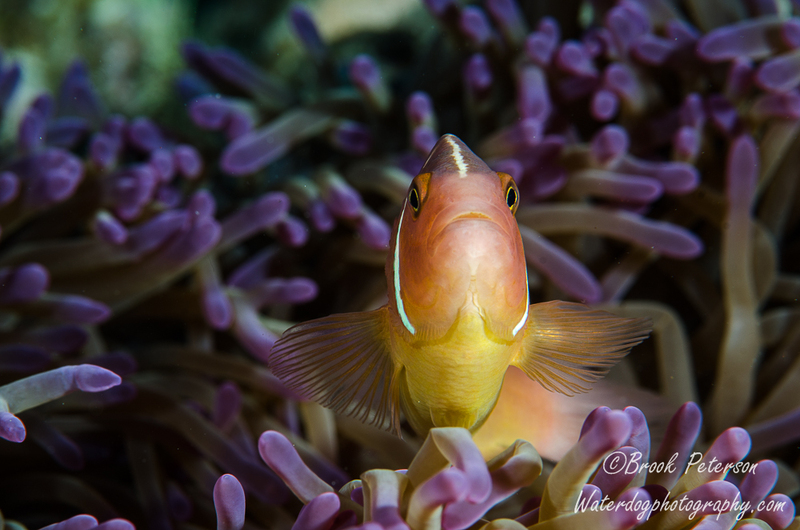 They followed me around the dive site, curiously posing for the camera and watching their reflections in my dome port. I didn’t know it at the time, but two of the snakes entangled themselves in my legs as I was leaving the site, and my husband captured it on his GoPro. 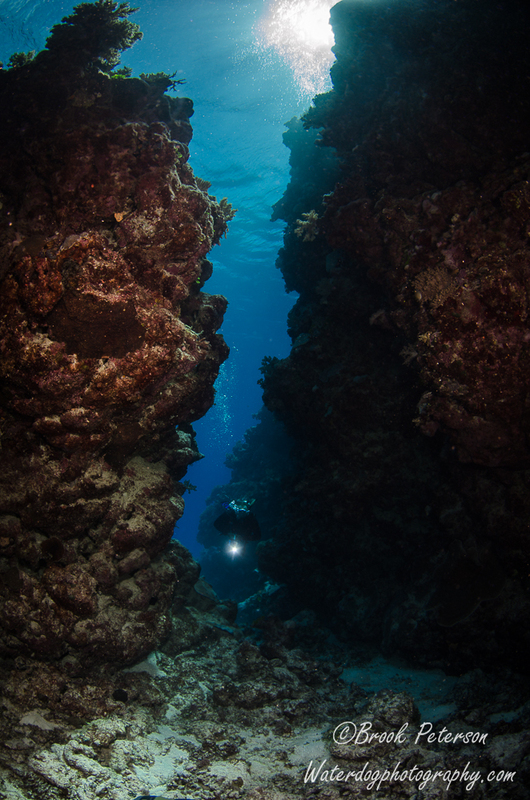 I enjoyed this dive more than any other because of the snakes, and never even considered fear among my reactions to them. 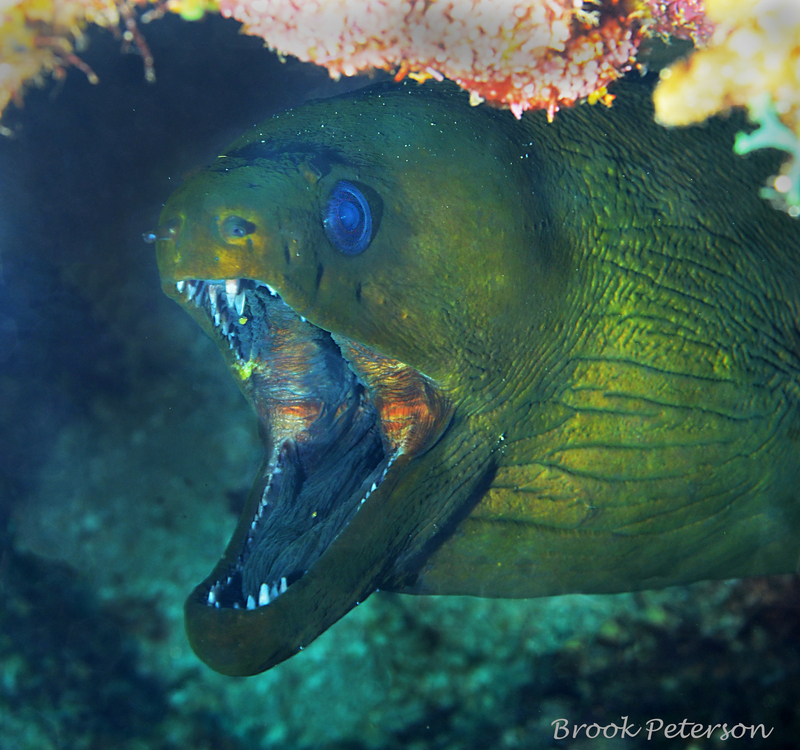 Eels breath by forcing water through their gills through their mouths. That’s why their mouths are often open. Another creature that inspires fear is the eel. 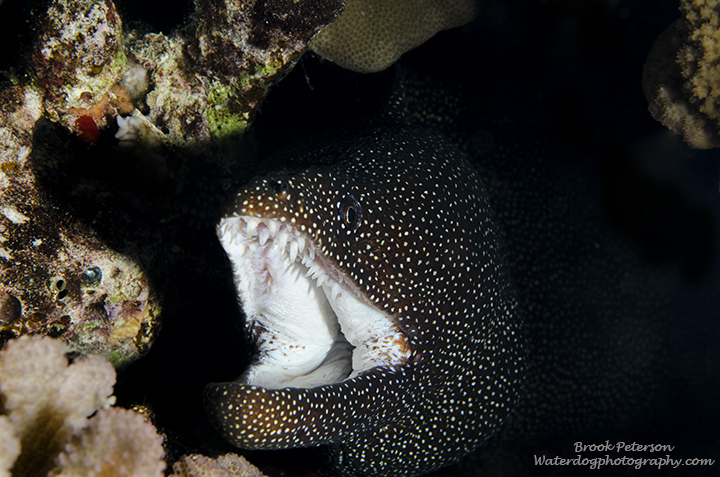 They do have a lot of teeth, and their mouths are often open which may make them look formidable. Most of the time, though, they are simply breathing or being cleaned by the shrimp that inhabit their dens with them. 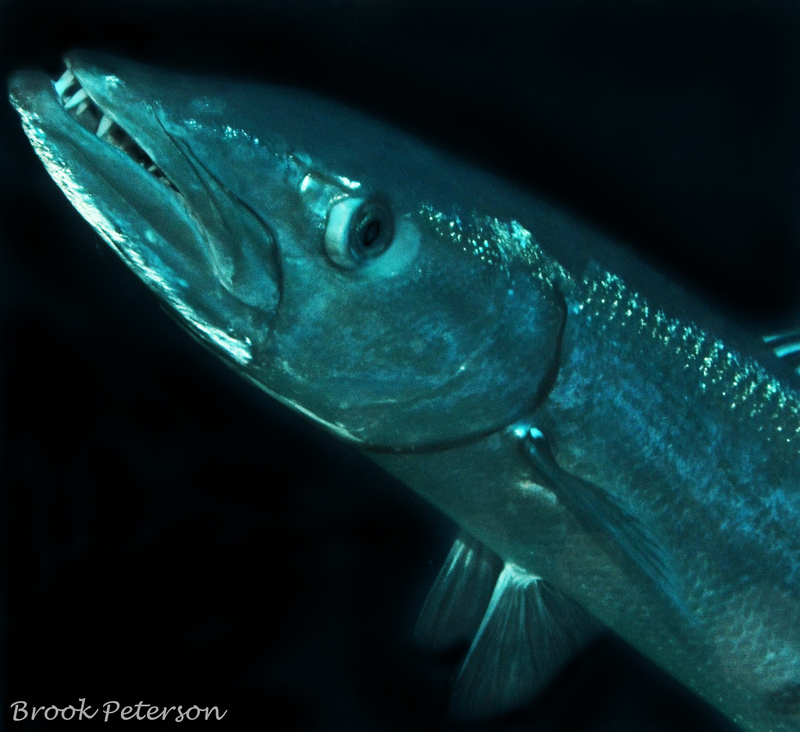 This barracuda might have been a little upset at my presence in the water. At the time, I thought he was just very interested in having his picture taken as he kept circling me, coming closer each time. This is one creature I should have had more respect for, as he is capable of harm if he feels threatened. However, fear never crossed my mind, and it was only with hindsight that I realized his aggressive behavior was a warning. This small fireworm looks harmless enough. It is important that you never assume anything, though and never touch a creature even if it appears harmless. 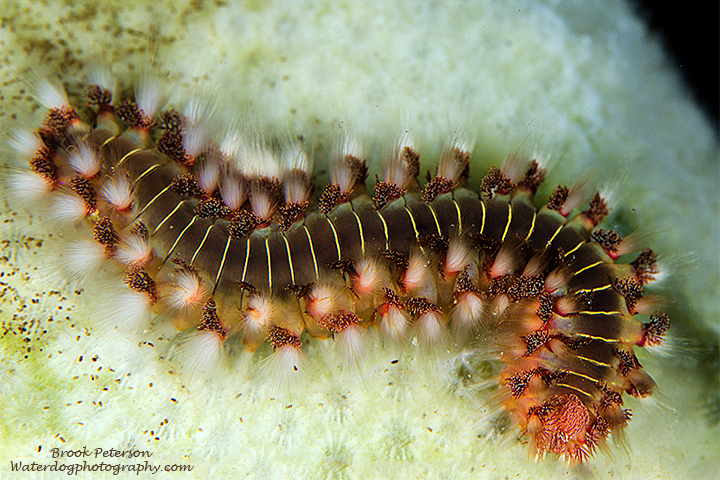 The fibers on the sides of the worm have a stinging venom that can be quite uncomfortable. 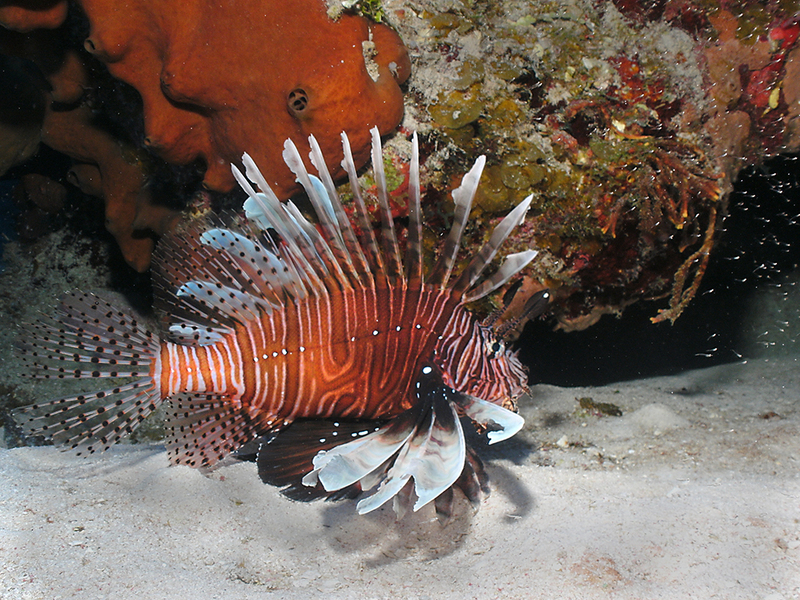 Here’s another venomous fish, that is absolutely beautiful, but has stinging fins. This one was guarding it’s many children which can be seen along the right side of the photograph. Sometimes fish just look formidable. 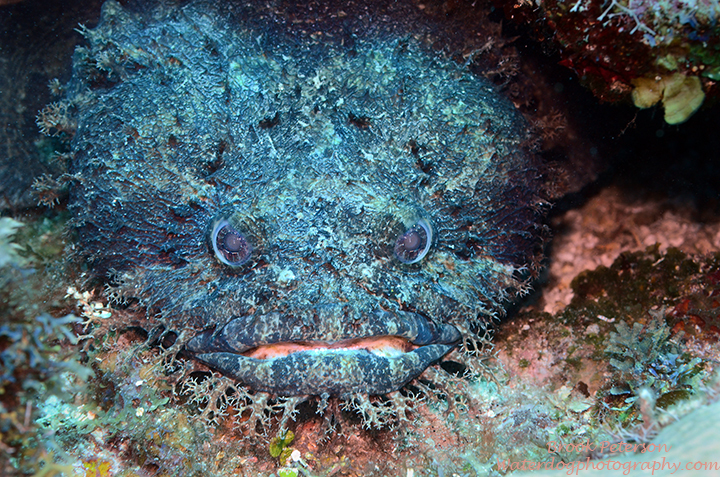 Or just plain ugly, like this toad fish. 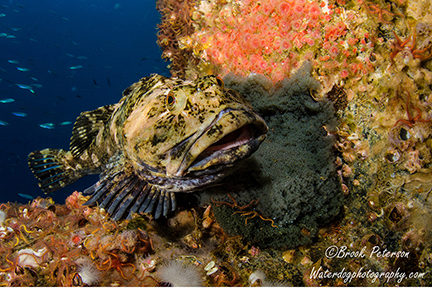 This Cabezon aggressively attacked my camera. He was less than a foot long, and didn’t have teeth, but he had an impressive nest to guard, and perceived me as a threat. I still didn’t fear him, but I did respect his space, and backed off when I realized I had stressed him. So to my non-diving friends; the creatures in the ocean don’t need to be feared, but they do need to be respected. 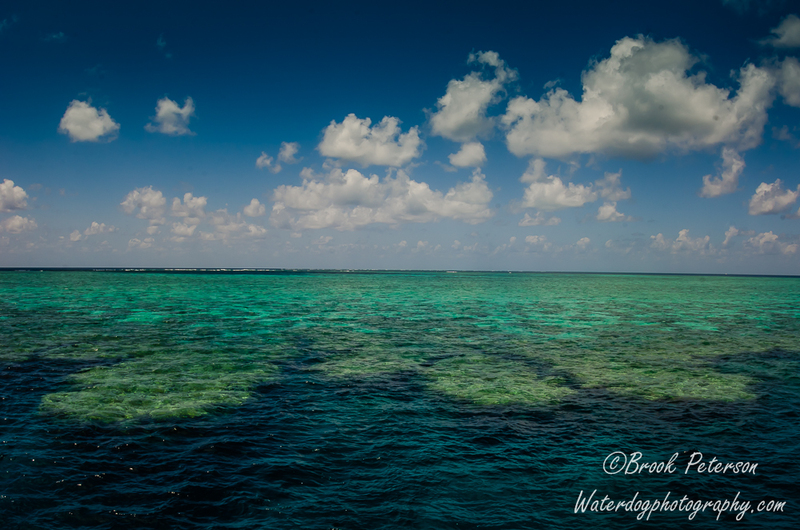 The likelihood of being a victim of an attack is very small when you respect the reef and it’s inhabitants. A little education about sea life goes a long way too! Most of the time, I am simply charmed.